Jack had cars on his mind from day one. He told me on several occasions that in regards to a career, he never wanted anything else in life but to be around cars. 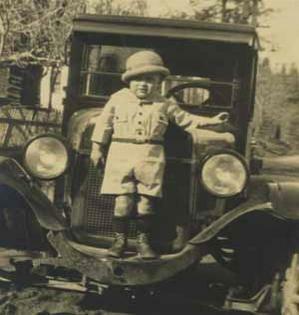 Jack's first hot rod was not exactly his own car. A neighborhood friend was trying to get his Mom's old Model T running and Jack offered to help him. Not only did Jack get the car running, but Jack stripped it and installed an Essex steering box, racing head, dual carbs and "juice" brakes. Months later when his friend's mother eventually saw what had become of her old car, she was so appauled that she didn't let her son hang around Jack anymore! Here's McAfee in the passenger seat proud of his first "hop up" job. Needing his own set of wheels, Jack found a stock Model-A roadster in a used car lot for $14! As you can see below, things got real serious real fast. 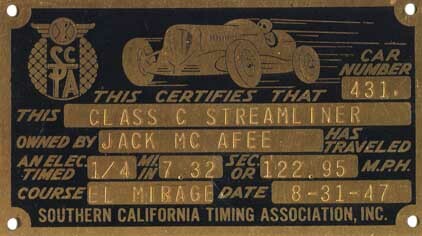 Wanting to run at the dry lakes North of Los Angeles, Jack lied about his age and joined the Throttlers of Hollywood. 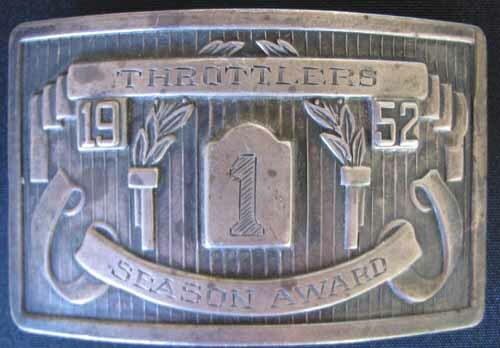 The Throttlers group was one of the more serious clubs whose club house on Santa Monica Blvd. is where the SCTA was formed. 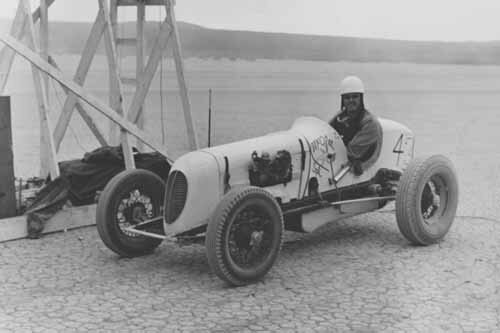 After serving four years in the South Pacific during WWII, Jack returned to the dry lakes in 1947 driving a sprint car he purchased from 12 time Indy 500 participant Babe Stapp. McAfee installed a “D.O. 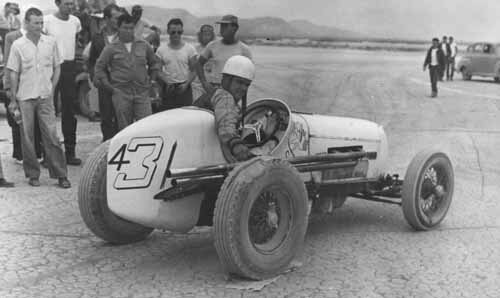 HAL” motor (dohc head on Model B block) and clocked 122.95 on El Mirage. So much for running on good rubber!